There isn’t any handicraft being made at the moment, all projects are put on hold in favour of adorable daughter. But I thought I’d share some interesting and fun stuff I’ve been reading about lately. Kathy at Medieval Arts & Crafts made this pattern inspired by a beautiful tiled roof in France. It shows that inspiration will find you anywhere! Edyth shared a link to Wikipedia Commons with a directory of manuscripts organized by century. Take a look here! Apparently frills are the new black! At least according to Elina. Read about her project or take a look at all the work that Isis had done. 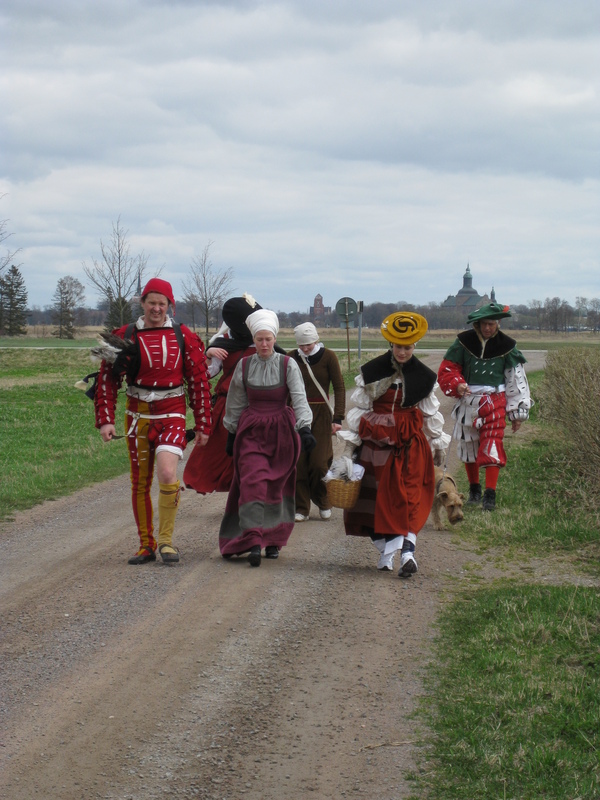 Two years ago, almost on the day, we went on a pilgrimage to Vadstena. It was windy, but looking at the pictures makes me long even more for spring!